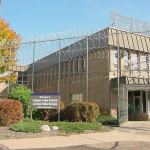 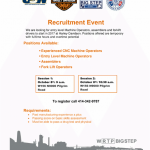 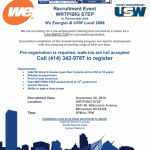 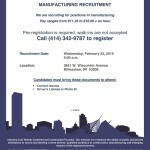 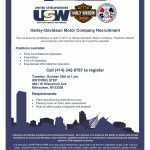 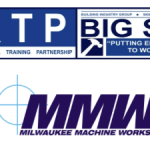 Come learn about opportunities for the pre-employment training for Milwaukee Machine Works. 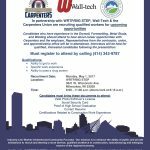 Candidates who have experience in the Drywall, Formsetting, Metal Studs, and Welding should attend to hear about career opportunities with Carpenters and the employer. 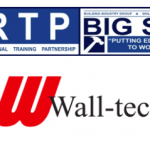 In partnership with Wall-Tech, the Carpenters Union, and Employ Milwaukee, WRTP/BIG STEP is hosting two recruitment and information sessions for candidates interested in beginning or continuing a career in carpentry. 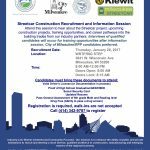 Attend this session to hear about the Streetcar project, upcoming construction projects, training opportunities from our industry partners, and career pathways into the building trades.